Las Vegas, NV – April 6-8, 2016 – ISC West 2016 –Booth #28065 – FIBARO, a leading global manufacturer of wireless intelligent home automation and control devices, will showcase the FIBARO SWIPE, a wireless gesture control pad that allows users to control the smart devices, including arming/disarming security panels, in their home with a simple wave of their hand. SWIPE recognizes six simple gestures – up, down, left, right, circle to the left, and circle to the aright – which can be assigned and used to control any Z-Wave smart home device or other connected smart products such as door locks or alarm panels, TVs, music systems and more. With SWIPE, swiping down at bedtime could easily trigger a ‘Good Night’ scene that turns off the lights, locks the front door, and arms the alarm system. Swiping left before leaving the home could activate the alarm without having to touch the system or enter a code. With a wide range of mounting options, SWIPE can be installed just about anywhere in the home. The gesture control pad looks like a picture frame and can easily be placed in plain sight on a desk or hanging on the wall. Homeowners can also have SWIPE installed behind drywall, artwork, or home décor as advanced gesture control technology is capable of detecting a specific set of hand motions through a variety of materials. When concealed, gestures and actions are confirmed by SWIPE via a built-in buzzer that signals response. Available in either a sleek black or elegant white, the 5×7 sized frame is both lightweight and wireless, and can either be powered by four AA batteries or micro USB. SWIPE also features advanced 3D Near-Field technology analysis further developed by FIBARO which removes the need to use native switches or buttons on the device itself. New to the smart home market in 2016, the FIBARO SWIPE will be on display at ISC West in the Z-Wave Pavilion at booth #28065. For more information on SWIPE or FIBARO, please visit http://www.fibaro.com/us. 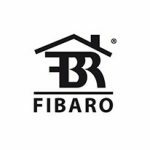 Based in Poland, FIBARO is a leading manufacturer of residential IoT solutions and designs, engineers and manufactures innovative smart home devices that make up the advanced home intelligence platform known as the FIBARO System. Available in 100 countries, FIBARO, opened its U.S. offices in September 2014, taking its modern minimalist designs and feature-rich platform to the growing U.S. smart home market. The company’s FIBARO wireless Z-Wave smart home system can be controlled from anywhere in the world via smart phone, laptop and/or tablet. The system, along with a suite of FIBARO accessory devices and sensors allows users to create easy to access scenes, manage energy usage, and integrate hundreds of devices including cameras, lights, lock, shades and numerous household systems, including entertainment.